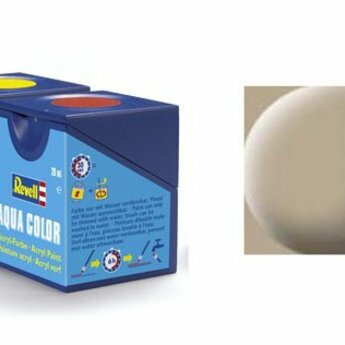 Revell Aqua Color with water soluble paint with high cover! Environmentally friendly, virtually odorless and non-flammable! Already after 1 hour can be painted over on the drying paint. The paint is after 2 to 3 hours, and by drying. The different colors can be mixed with each other and are only to dilute with water. This model can paint exceptionally smooth color patches are realized. For airbrushing, the paint is diluted with a maximum of 20 to 25% water. This jar has a volume of 18 ml.